Football great, Jerry Rice, was born on October 13, 1962 in Crawford, Mississippi. Rice is widely regarded as the greatest wide receiver ever and one of the greatest players in NFL history. 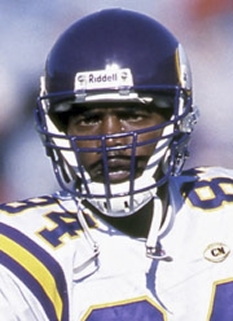 Rice was selected to the Pro Bowl 13 times (1986–1996, 1998, 2002) and named All-Pro 10 times in his 20 NFL seasons. 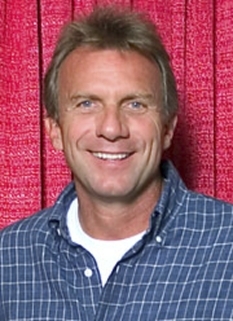 He won three Super Bowl rings as a member of the San Francisco 49ers, (1985–2000) and an AFC Championship with the Oakland Raiders (2001–2004). 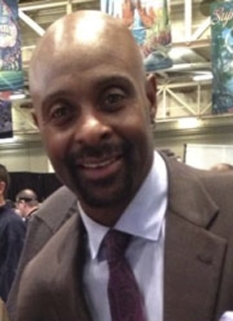 Jerry Rice currently resides in the San Francisco Bay Area with his wife Jackie and their children. Jerry Rice's 1984 record-breaking season at Mississippi Valley caught the attention of many NFL scouts, but his speed (reportedly only 4.71 in the 40-yard dash) kept most wary, although there were apparently at least two exceptions: the Dallas Cowboys and the San Francisco 49ers. 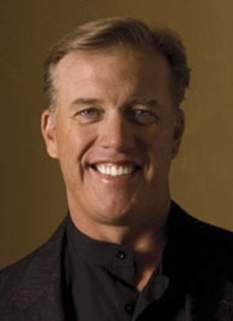 In his autobiography, Rice says the Cowboys, Green Bay Packers, San Diego Chargers, and Indianapolis Colts had kept in contact with him prior to the draft. In the first round of the 1985 NFL draft, Dallas had the 17th selection and San Francisco had the last (as Super Bowl champions from 1984). 49er coach Bill Walsh reportedly became enamored with Rice after watching highlights of Rice the Saturday night before San Francisco was to play the Houston Oilers on October 21, 1984. On draft day (April 30, 1985), the 49ers traded its first two picks for New England's first-round choice, the 16th selection overall (the teams also swapped third-round picks as part of the deal), and selected Rice before, as some report, the Cowboys were intending to take Rice. Interestingly, Rice was prized more highly by the USFL, as he was the #1 pick overall in that short-lived league's 1985 draft. 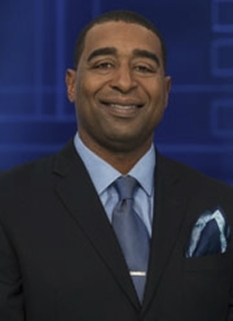 Rice took the NFL by storm in his rookie season for the 49ers in 1985, especially after a 10-catch, 241-yard game against the Los Angeles Rams in December. For that rookie season, he recorded 49 catches for 927 yards, averaging 18.9 yards per catch and was named NFC Offensive Rookie of the Year. 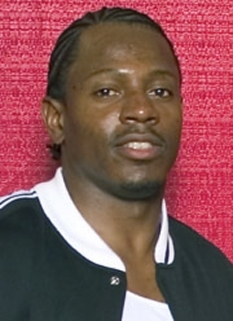 (Eddie Brown of the Cincinnati Bengals, one of the two wide receivers taken ahead of Rice, was named the NFL Rookie of the Year.) The following season, he caught 86 passes for a league-leading 1,570 yards and 15 touchdowns. It was the first of 6 seasons in which Rice would lead the NFL in receiving and touchdown receptions. In 1987 he was named the NFL's Player of the Year. Despite playing in only 12 games that year (NFL players strike), he still managed to gain 1,078 in receiving yards and an NFL-record 22 touchdown receptions which stood until 2007 when it was broken by Randy Moss in 16 games (compared to Rice's 12). In 1988 Rice averaged a career high 20.4 yards per catch as he caught 64 passes for 1,306 yards and 9 touchdowns. The 49ers once again won the NFC West with a 10–6 record. In the postseason, he was instrumental in the 49ers' 28–3 win over the Chicago Bears in the NFC title game, recording 5 catches for 123 yards and 2 touchdowns. But his performance in Super Bowl XXIII was even better. In what is regarded by many as his finest performance ever, Rice caught 11 passes for 215 yards and a touchdown, while also rushing for 5 yards, assisting the 49ers to a narrow 20–16 win over the Cincinnati Bengals. His receptions and receiving yards were both Super Bowl records. For his performance, he became only the third wide receiver ever to earn Super Bowl MVP honors. Rice retired as the leader in a number of statistics. His 1,549 receptions were 448 receptions ahead of the second place record held by Cris Carter. His 22,895 receiving yards were 7,961 yards ahead of the second place spot held by his Raiders teammate Tim Brown. His 197 touchdown receptions are 65 scores more than the 132 touchdown receptions by his former 49ers teammate Terrell Owens, and his 208 total touchdowns (197-p, 10-r, 1-ret) were 33 scores ahead of Emmitt Smith's second place spot of 175. Aside from an overall talent and will that put him in a class by himself, Rice will always be remembered for his supreme work ethic and dedication to the game. In his 20 NFL seasons, Rice missed only 10 regular season games, with 7 of them occurring in a single year (the 1997 season when he tore his knee ligaments), and the other 3 occurring in the strike shortened season of 1987. His 303 games are by far the most ever played by an NFL wide receiver, and are only 72 games behind the NFL record for games played by a player at any position. In addition to staying on the field, his work ethic showed in his dedication to running precise routes, with coach Dennis Green calling him "the best route runner I've ever seen." Also known as one of the best blockers at his position, there was no aspect of playing wide receiver at which Rice did not excel. 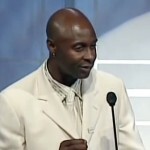 In 1999, Jerry Rice was ranked number 2 on The Sporting News list of the 100 Greatest Football Players. Only Jim Brown was ranked ahead of him, and Rice — 35 places ahead of the next-highest-ranked player then active, Deion Sanders — would play another five seasons. 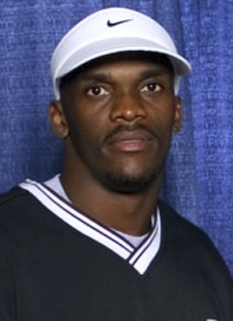 During the 2005–2006 broadcasting season, Rice competed in the reality show Dancing with the Stars where he reached the final two before finally losing to singer Drew Lachey and his partner Cheryl Burke. Paired with dancer Anna Trebunskaya, they were considered the underdogs on the show. His "amazing work ethic" and "exceptional sportsmanship" charmed many viewers, and his determination also made him a judge's favorite. Rice has co-authored two books about his life: Rice (with Michael Silver, published 1996, ISBN 0312147953) and Go Long: My Journey Beyond the Game and the Fame (with Brian Curtis, published 2007, ISBN 0345496116). 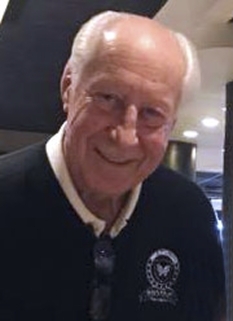 Rice was inducted into the Pro Football Hall of Fame in 2010. DISCLAIMER: PFP Sports Talent Agency does not claim to represent itself as the exclusive agent for Jerry Rice. PFP Sports Talent Agency is a booking agency that represents organizations seeking to hire pro athletes and sports personalities such as Jerry Rice for speaking engagements, personal appearances, product endorsements and corporate entertainment. Fees on this website are estimates and are intended only as a guideline. Exact fees are determined by a number of factors, including the location of event, the talent’s schedule, requested duties and supply and demand. PFP Sports Talent Agency makes no guarantees to the accuracy of information found on this website and does not warrant that any information or representations contained on this website will be accurate or free from errors. We are often asked how can I find out who is Jerry Rice's agent? 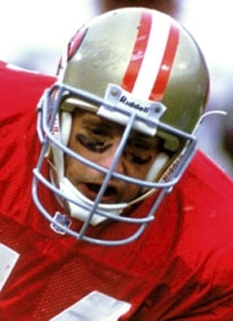 To find Jerry Rice appearance fees and booking agent details, you can contact the agent, representative or manager through PFP Sports Talent Agency for speaking fee costs and availability. PFP Sports Talent Agency can help your company choose the ideal sports personality for your next marketing campaign. To hire Jerry Rice for an appearance, speaking event or endorsement, contact Jerry Rice's booking agent for more information.